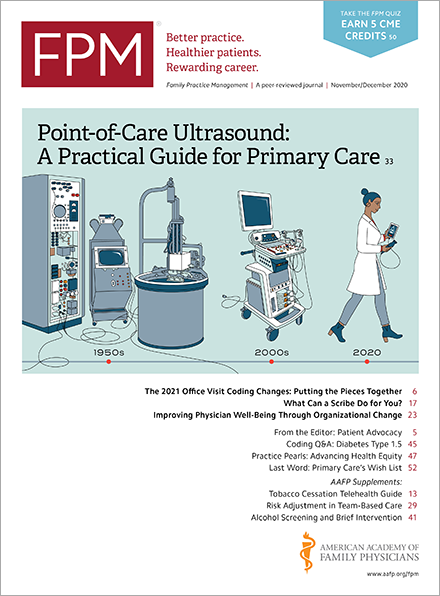 The Centers for Medicare & Medicaid Services (CMS) is rolling out a new effort to give clinicians in solo and small group practices on-the-ground training and education about the Quality Payment Program (QPP). CMS has announced $20 million in grants to 11 organizations(www.cms.gov) to provide the services for the first year of a five-year program. Working through the Medicare Access and CHIP Reauthorization Act (MACRA), CMS plans to invest up to an additional $80 million over the remaining four years. These groups will provide hands-on training to help thousands of small practices, especially those in historically under-resourced areas, including those that are rural, have a shortage of health professionals, or are medically underserved. For example, clinicians will receive help choosing and reporting on quality measures, as well as guidance with all aspects of the program, including supporting change management and strategic planning and assessing and optimizing health information technology. The training and education resources will be available immediately, nationwide, and will be provided at no cost to eligible clinicians and practices. To find out if your practice is eligible for this assistance, you can call 1-866-288-8292 from 8 a.m. to 8 p.m. (EST) or email qpp@cms.hhs.gov.